Once upon a time, I was fifteen. As peers celebrated quinceañeras, bar and bat mitzvahs, I came of age. Adulthood tolled like death with the sound of my voice as I broke the news to my sister, only two years my junior— perhaps breaking her heart in the process. We sat in our dimly lit living room amongst the plush, pink couches, the glass table with an antique metal base on the shadowed carpet. I told her I would be leaving home, but this was not the first time I bid her farewell. When I was a child in elementary school, I wrote a letter to my mother in yellow highlighter and gave it to my sister to give to her. I grabbed a gallon of water and a pack of sliced wheat bread before running away. I had not traveled far before my mother arrived, barreling across the grass like a bullet from my father’s gun with my sister in tow, my other sister balanced like a bobblehead upon her hip. I spent most of my adolescence with one foot in my home and the other, perpetually on the pavement. After witnessing my father flatten my mother like a collapsed lung for years, I began to disconnect from the world. I welcomed an unconscious misstep on a subway platform, the peace promised by the screeching of incoming trains and oncoming traffic. To live under my father’s tyranny much longer would surely turn me to the edge. And so I ran for a final time. Behind me were my four younger siblings and the war zone that was my home. Leaving them was like abandoning battle buddies, offering up fellow soldiers as prisoners of war. The cost for some semblance of normalcy was isolation, guilt, and shame. And when these feelings became demons; I ran from them too. In many ways, I left my past behind. I repressed memories, racked up diplomas, and took on a position of leadership within a grassroots non-profit. However, I always managed to pantomime the past in the present. Over a decade had passed when Taij Kumarie Moteelall suggested I attend the Standing in Our Power (SiOP) Train-the-Trainers (T3) program. I was living a half-life. I felt undeserving of the grace I offered myself and the example I modeled for my siblings when I left home all those years ago. How could I enjoy the trappings of normalcy, personal, academic and professional successes, and the redeeming qualities of romantic love, when my siblings were suffering? How could I be at peace when the world was an oyster cemented shut? I had been running all of my life, so my spirit never had time to reflect, process, and rest truly. The day I decided to enroll in T3 was the day I stopped running. 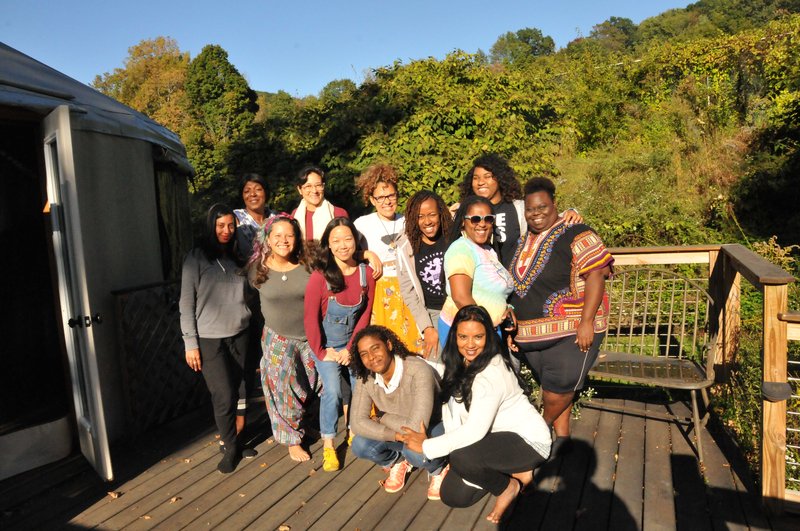 When I entered the SiOP retreat space, a yurt in the woods of upstate New York, I met a group of powerful women of color with a depth of intuition, brilliant intellects, and astute analysis. They modeled excellence and possessed an insatiable drive to succeed and thrive. Not only did these women work hard to provide for their families, loved ones, and communities, they were lock-step connected with a cause greater than themselves, using their skills and talents to co-create an equitable world by way of keen business strategies, collective visioning, and interdependence. SiOP inducted me into its sisterhood, filled with brave women in different chapters of their lives, chock full of wise counsel and years of experience as senior leaders in their respective organizations. I listened to their testimonies, the harrowing stories of their past and professional realities. Each one gave me chills like those felt after I completed Anne Frank: The Diary of a Young Girl. Each story was a tale of failures and setbacks, challenges and triumphs. These women were brave enough to let me see them without the adornment of their quotidian costumes. Moreover, I felt safe enough to be them see me without my many masks. 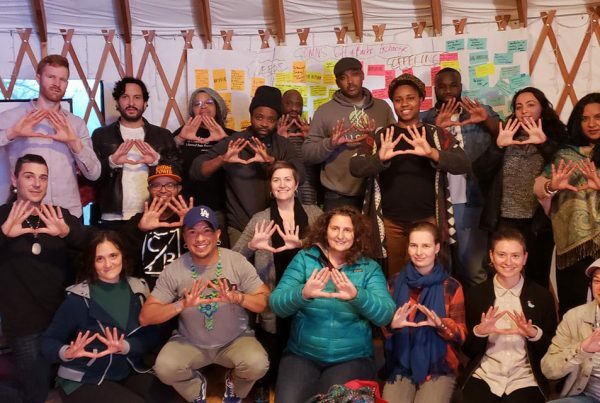 SiOP co-leads, Taij Kumarie Moteelall (its founder) and Diana Marie Lee, founder of Sweet Livity™ LLC, incubated a space with follow-up coaching support for us all to release and face our histories head-on. I learned to metabolize my trauma into fuel for a vision of a healthier future. Suddenly, I was creating affirmations and setting intentions, conducting research for a business plan, working as a private contractor, and mending my relationship with the universal divine. I left the retreat with a sober hope that I can prosper, the possibility that I could shape my reality. I began to lean into the discomfort of change and work intentionally to shift my inner self while releasing all that did not serve my future success. My sprint toward death transformed and I began to swim instead, no longer buoyed amidst the cacophonous currents of an oppressive existence. 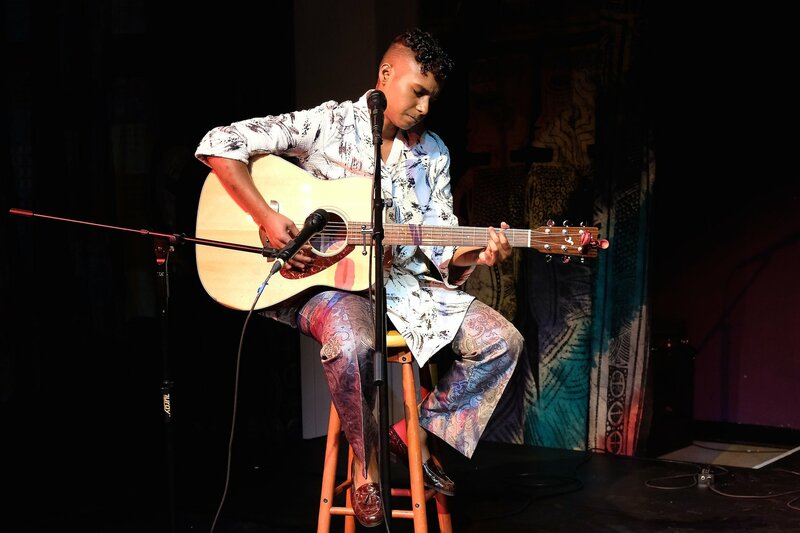 Thanks to SiOP, I was able to run a workshop on the transformative and revolutionary art of storytelling and perform my song, “I am God (37:29),” for an audience in the thousands in honor of Trayvon Martin and Rajwantie Baldeo at the Facing Race Conference in Detroit. I flew point on SiOP’s fundraiser and had the honor of co-creating an evening of vitality and vision with special guest, Climbing Poetry. I was able to do as my sisters had done for me. I was able to demonstrate that change is not only possible but necessary.